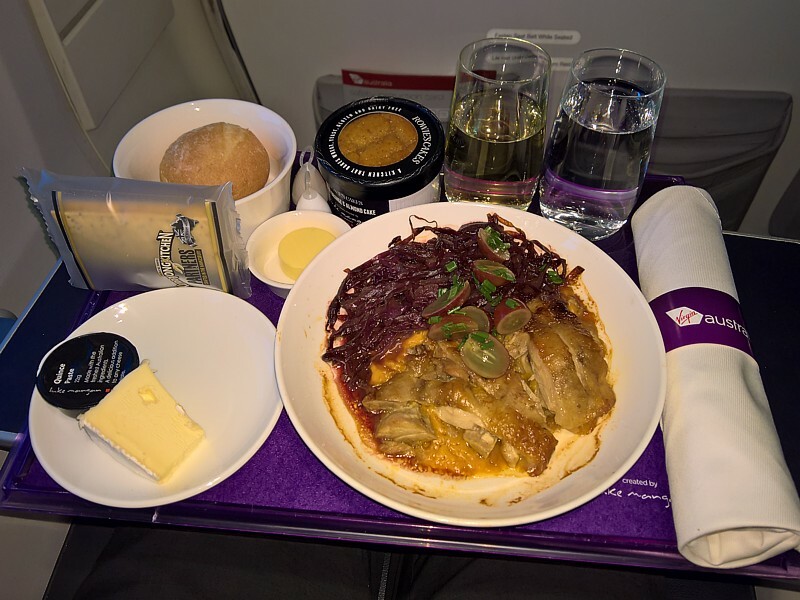 News: Virgin Australia now offer free meals and drinks in economy class. 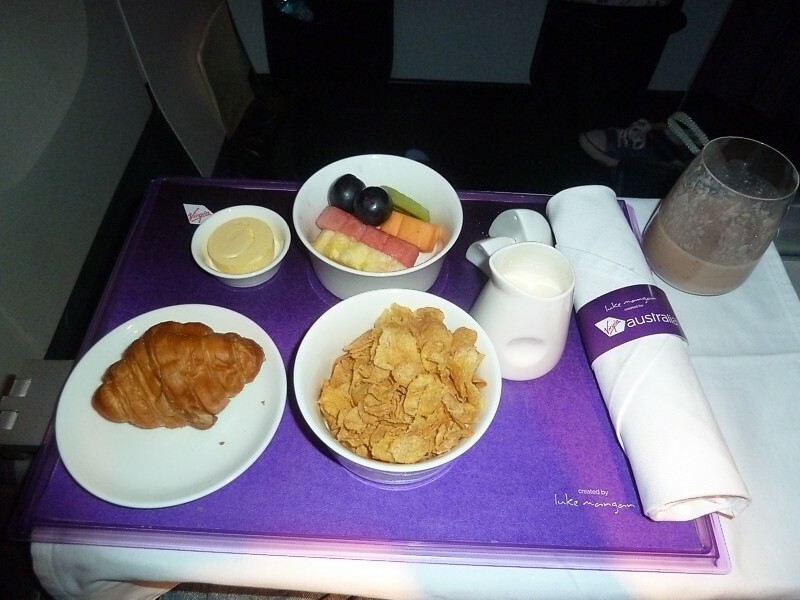 Virgin Australia make much of their exciting new onboard menu with signature Luke Mangan items. 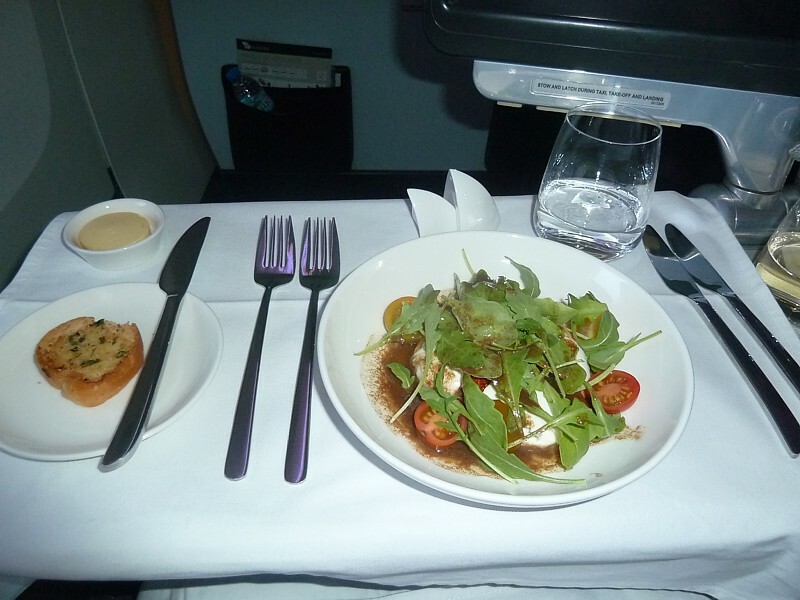 In Business Class Domestic & Trans-Tasman there is a decent hot meal, and on flights over 3 hours there is a three-course lunch and dinner (but make sure you are on one of these flights, not one class as a mid-morning or afternoon). 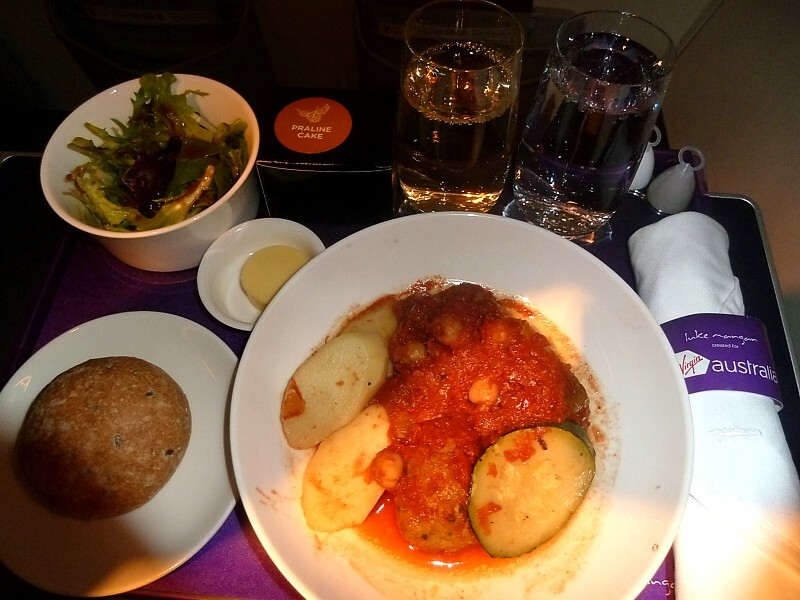 On the remaining long-haul international flights to Hong Kong, Abu-Dhabi and Los Angeles, economy meals are free, with two served on the flight, and there are also free drinks throughout the flight. 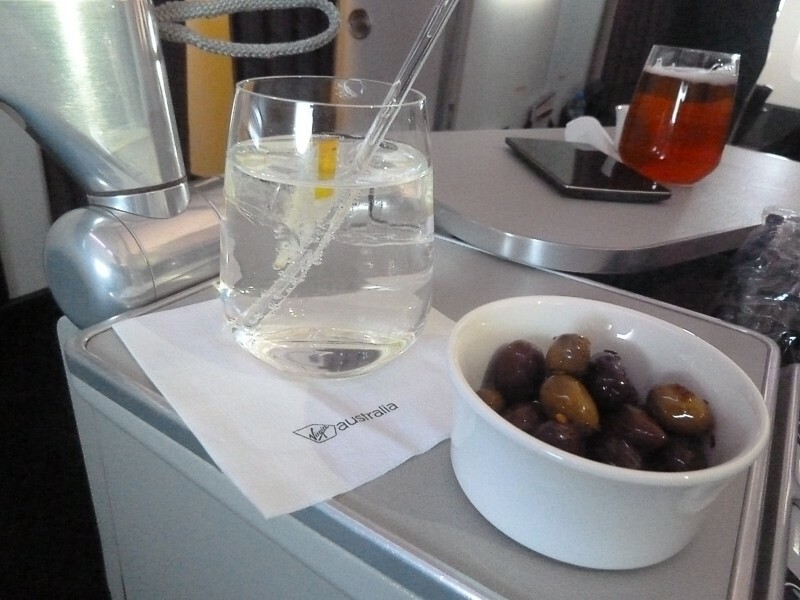 A starter once into the cruise. 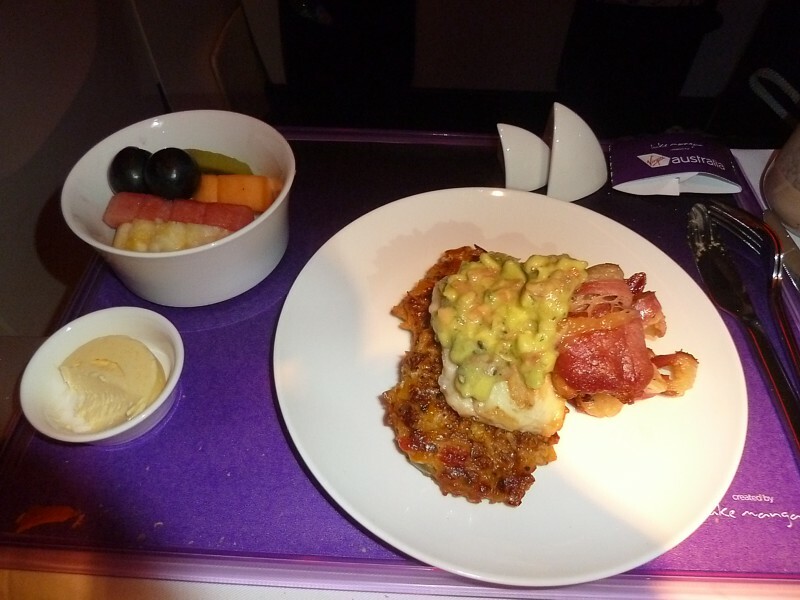 Cold duck slices over a bed of red cabbage, with grapes. Roll. Butter. 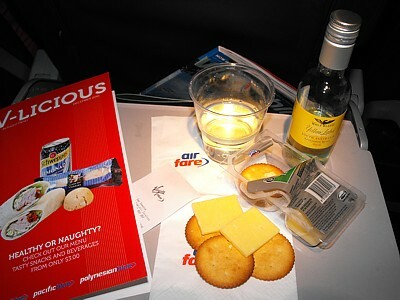 Cheese, biscuits. Orange tart. This is just wrong on so many different levels. Cold, poor flavour, and just odd. Ceaser salad. Roll. Butter. Biscuit. Wow, lots of great flavour. Really good, and quite hearty too. 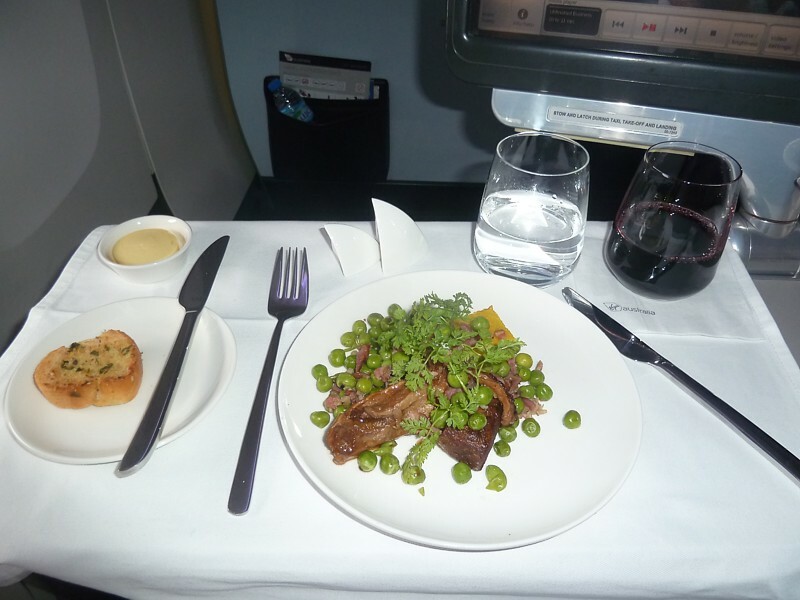 On East-West coast transcontinental services, from Brisbane, Sydney or Melbourne to Perth there is a free hot meal and one free beer or wine (after midday). 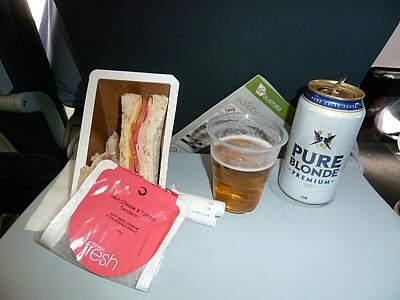 Also on flights from Canberra to Sydney or Melbourne (called Capital Connect flights) there IS a free snack, which is also offered on rural flights in Western Australia (but no beer). 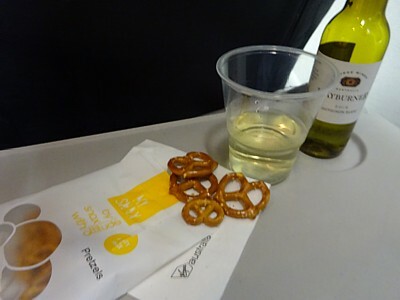 And on flights between the state capitals (Melbourne, Sydney, Brisbane) there is one free beer or wine offered between 4pm and 7pm. 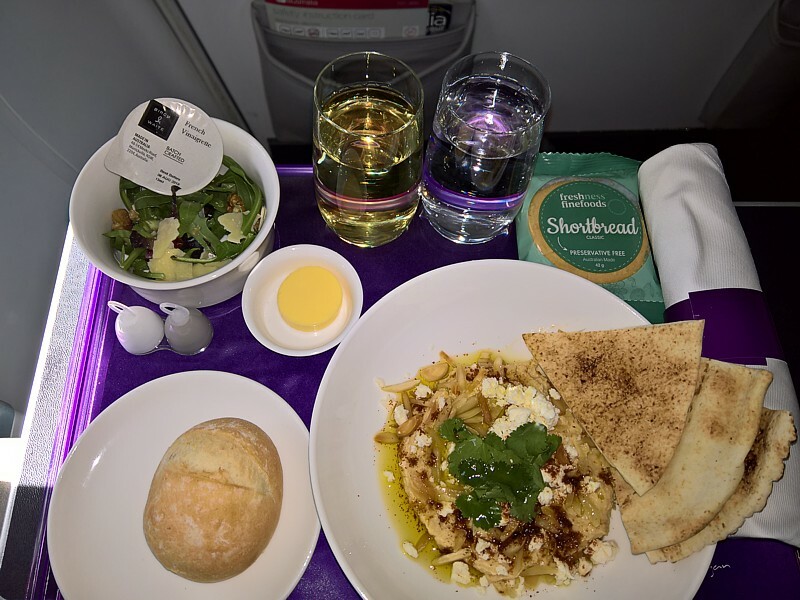 The Virgin Australia Menu is in the seat pocket infront of you, however it is not available online, so you can't check out prices before hand. 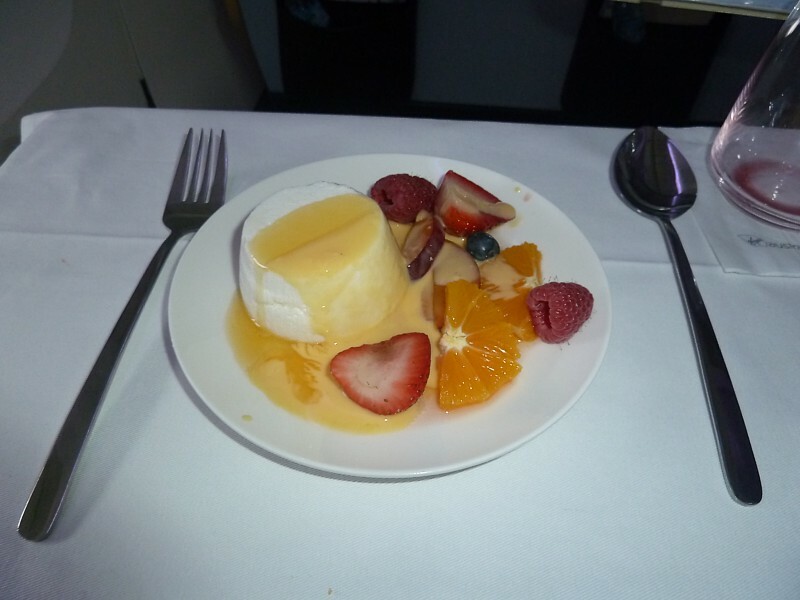 Welcome to British Rail catering on Virgin: yes it doesn't get much better than this. 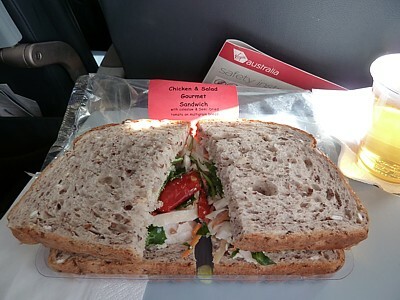 This is the famous basic sandwich selection of Virgin Australia: it's pretty grim. If you want to splash out, you can of course go for the Gourmet selection: this really isn't much of an improvement, but at least it looks a lot better. There is a real bit coleslaw in the sandwich, and the bread is marginally better, with all of $3 added flavour. 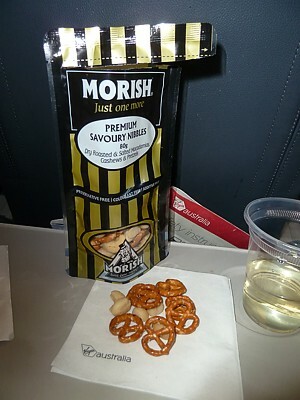 Morish Nuts with Macadamias, cashews, and over baked pretzels dusted with organic salt. 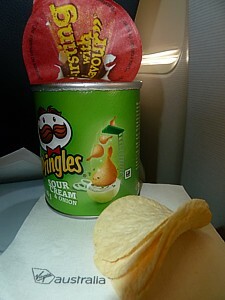 A packet of Virgin Australia Pringles.